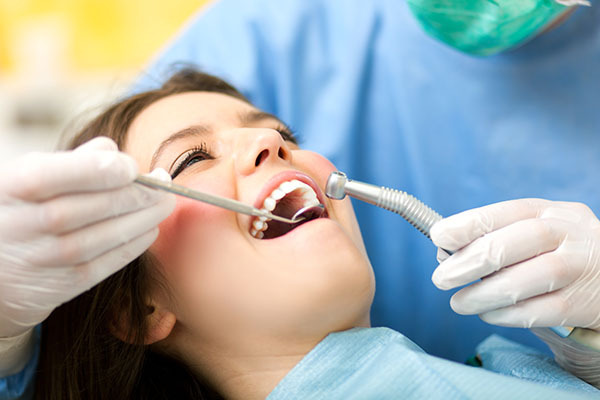 As a restorative dentist, we specialize in saving teeth that may otherwise need to be pulled. It is incredibly common to damage a tooth, sometimes doing the most basic of activities. Driving a car and getting into a wreck, playing basketball and colliding with an elbow, running into something at work, etc. ; all of these things can lead to tooth damage. From small chips to large cracks, a damaged tooth can be incredibly uncomfortable. Not only can it lead to toothaches but a damaged tooth can make it difficult to eat or speak clearly. It can also cause you to hold your jaw in an unnatural position, creating tension headaches or discomfort in your face and neck. If you find yourself in the situation where your tooth is damaged, we encourage you to call our dental office right away. We can restore and save your tooth, preventing you from experiencing unnecessary discomfort. Correcting the problem quickly is also important for ensuring that your tooth does not become infected from bacteria entering through the cracked portion of the tooth. If it does, you could end up needing to have more than one procedure in order to first remove the infection and secondly restore the tooth. As a restorative dentist, we are equally committed to restoring the function and form of your tooth. For example, it is not just the way that your tooth looks that matters. How it functions is equally important, if not more so. You need your teeth to be healthy and fully functioning so that you can eat and speak clearly. Otherwise, it can be difficult to enunciate and enjoy your favorite foods. Simultaneously, if you actually lose your tooth or have it pulled, the function of your jawbone can become compromised. Your natural teeth, after all, are essential for preserving your bone density. Once a tooth falls out, you can lose up to 25 percent of your bone's density within one year. If enough of your teeth fall out, it can even change your facial appearance. With that in mind, if your tooth becomes damaged, consider the consequences and visit us for a restoration quickly. When you visit our dental office, we can ensure that you remain entirely comfortable and relaxed while your dental work is being completed. This leaves no reason to skip the dentist since a restored tooth will be far more comfortable than a damaged one. Simultaneously, we have various ways to correct the tooth. We can use procedures like bonding, dental veneers, and dental crowns to restore a tooth that has been chipped or cracked. These can be completed in one or two appointments, depending on what is being done. If you are getting something like a veneer that does take two appointments, we can give you a temporary one to wear immediately so that you aren't uncomfortable. Since our recommendation will be based on the extent of the damage, we will provide our exact recommendation based on your dental exam. As a restorative dentist, we will ensure that your tooth functions and looks perfect.